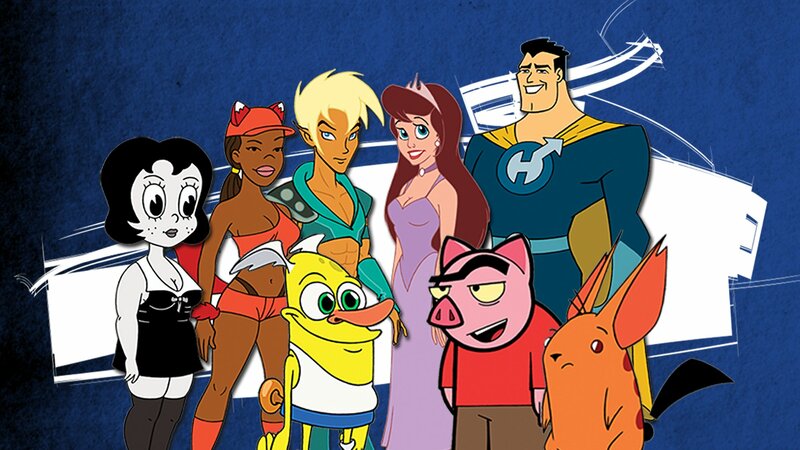 Drawn Together snatches characters from across the cartoon multi-verses and dumps them under a single roof. After agreeing to have their lives taped, the animated housemates must learn to live like reality TV stars. The Housemates are introduced. A string of racist comments from Clara start a major fight. A pregnancy scare is the least of Clara's worries when the rest of the household finds out about her "personal problem." Xandir comes to terms with his homosexuality, then desperately tries to find a way back in the closet, when dumped by his girlfriend. Ling-Ling, Foxxy, and Xandir win food rights. Toot overindulges to the extreme, and seeks help from Xandir for her weight problem. Clara's special cousin, Bleh, comes to visit the Drawn Together house, and Captain Hero bets Spanky he'll sleep with her for 50 bucks. Clara becomes addicted to a prank made up by Spanky, crapping on pizza. Notorious billionaire, Bucky Bucks, comes to the house, and hosts an Apprentice style boardroom to answer the demands of the house mates.